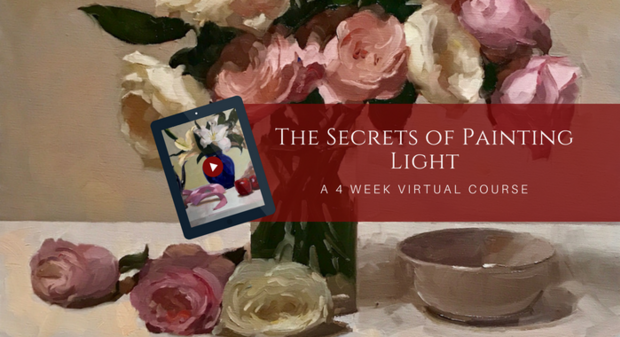 Through high quality live & recorded video and in the moment narration, Perrin will let you in on the secrets that have vaulted him to the top of the world of painting light. Only now have these secrets been made available to anyone, anywhere in the world, on any device, designed to conform to any schedule. And the best part is, this course, once purchased, is available for a lifetime! "You only have available to you some simple materials: paint in tubes, a palette, brushes, a painting ground like canvas or gessoed panel, and two dimensions. Yet, with these limited materials, and a profound understanding of the importance of value, abstraction, and the relationships of abstract value shapes, you can create vibrant, shimmering, powerful paintings that beam with the illusion of light." Any painter, regardless of level, would find in this course revolutionary new ways of thinking about painting, as well as techniques and materials that will allow the painter to evolve to a whole new level of understanding in executing their paintings. "Out of all the classes/workshops/courses I've taken, this may be the best. Dennis presents a way of seeing and approaching a painting that changed my mental processes about it after one class. His method of teaching and clarity of content, coupled with his ability to explain as he works, is unique in my experience. Added to that, he has a background support team that keeps everything running smoothly. If you really want to learn what painting is and how to do it, I highly recommend it." – C.S. “I loved every minute… It was so fun watching you bring this beauty to life. I learned an enormous amount from your process and my own paintings are already starting to turn in the direction I've been wanting. Thank you, Dennis.” – M.L. How to identify and capture the contrasting values that lie at the heart of painting light. How to design and build a painting that uses light as subject matter, regardless of the objects that inspire your painting. Finding the value limits of any painting, insuring that all other values fall within these limits. This is crucial in creating the illusion of light in your paintings. How to keep your palette and colors easily and simply organized so your palette serves you. How to conceive of your painting in a holistic way so that every part works easily with every other. Learning once and for all how important holding the values are in creating light and shadow, the very essence of light in painting. How to compose powerful, simple statements so your paintings sing cleanly and clearly,even across the room. Mastering the art of color modulation, a little known but crucial element in the rendering of light in paint. What colors and brushes best align with your intentions for your paintings. 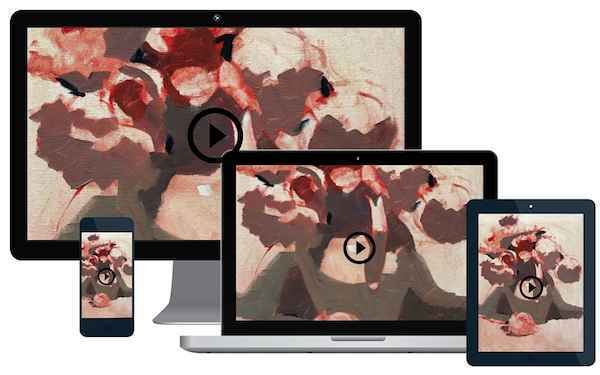 How to look at a painting you admire and easily discern what makes it great. How to simplify your paintings to achieve unity, power, and clarity. How to align your intentions and your beliefs in order to achieve unlimited results in your work. Visualizing the completed painting as a destination, allowing the painting to easily move to an inevitable and successful conclusion. This most important element, that is often ignored or neglected, is at the heart of The Perrin Method™ of painting.